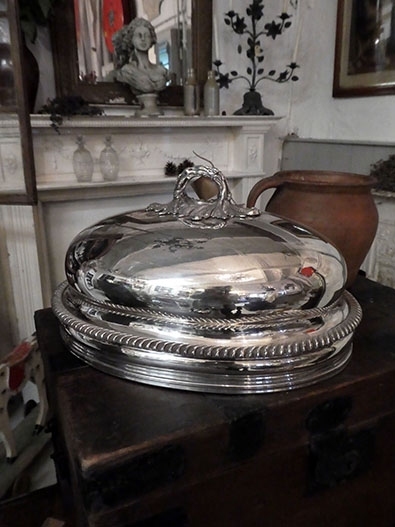 A lovely antique silver plated meat cover, England, ca. 1830 - 1840. Size approx 35,5 x 26,5 cms. 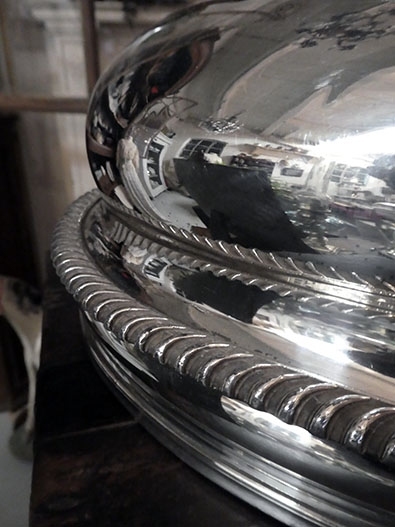 A very nice shape, typical for the first half of the 19th century. The meat cover is hand hammered. 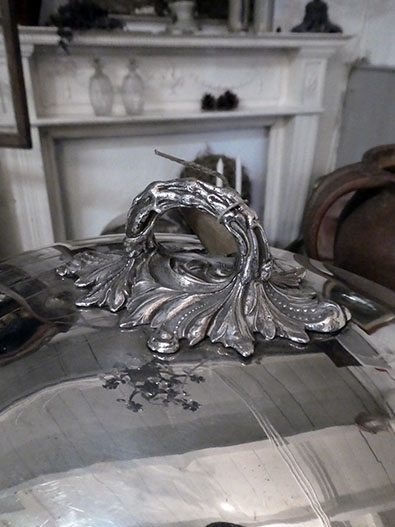 Decorated with a rope edge and a lovely ornate cast handle. In good condition, no loss of plate, does have a small dent.